A cheek implant is a timeless procedure intended to enhance cheeks. It gives mid-face volume, fullness and a defined structure making you look youthful, lean and toned. Cheek implant surgery is being used since 1956 for efficient and safe cosmetic enhancement and providing aesthetic improvement. Causes: Who Should Consider A Cheek Implant? You are born with flat and weak cheekbone that makes you look older than your real age. Muscle and skin do not drape the cheekbone properly. With age, your cheeks have become saggy, flat and sunken giving you a gaunt and fatigued look. You have wrinkles on cheeks. There are lines or bags under eyes. An accident or injury has lead to the changes in cheekbones and skin to slack. Loss of cheek contour due to some congenital deficiency or disability. There are several procedures to restore the volume of cheeks such as cheek implants, injectables and fat transfer. 1. Cheek fillers- To restore the radiance and youthfulness to the skin, injectable fillers such as Hyaluronic acid are used to add volume to your cheeks. Fillers provide a long-lasting impact up to two years. If you are not sure about a permanent implant, you may try fillers to restore the mid face fullness. It hardly takes 2 minutes to inject fillers, and there are rarely any visible marking. 2. Cheek fat transfer- As you age your cheeks lose fat and look hollow. To restore these areas fat transfer is done. Mostly fat is taken from your own thighs or abdomen. The result is subtle but natural as well as impressive. The whole procedure takes not more than 30 minutes and offers long-lasting effect up to five years. The reaction or rejection risk is also minimal as your body fat cells are used. 3. Cheek Implant- For the cheek enhancement, a plastic surgeon augments an implant over the patient’s cheekbones. It offers a long term solution. Cheek implants may be of different sizes and shapes. They are made up of solid silicone or a compatible synthetic material. Silicone implants can be adjusted or removed anytime and is an ideal option for them who want to create a lifting effect or add lots of volume to the cheeks. Silicon implant is also right if there is a need for correcting the skeletal deficiency. The selection of implant is done by the cosmetic surgeon depending on your face structure and requirement. 1. Malar Implant- Here implant is inserted on to the outer cheek area to give high cheekbone look. 2. Sub-Malar Implant- Implant is inserted below the cheekbone to fill hollows and sunken cheeks. 3. Combined Malar-Sub-malar-Implant- This procedure is the combination of above two. A medical history is taken to make sure your immune system is working correctly, and your all-over health is good. A few weeks before the surgery improve your diet. Switch to a balanced diet rich in nutrients. Add foods rich in vitamin C such as broccoli, sprouts, citrus fruits and green leafy vegetables to your diet. Vitamin C is an antioxidant and improves healing. Your surgeon may give you specific pre-surgery diet instructions depending on the kind of anesthesia you will receive. Quit smoking and alcohol six weeks before surgery. Keep your body hydrated by drinking lots of water and fluids. In case you are taking any medicine or herbal supplements better ask your surgeon whether to discontinue or continue. Your doctor may provide you with the list of drugs to avoid before surgery. Most medications that make blood thin are avoided two weeks before and after the surgery. If you and your surgeon choose a synthetic implant, you will require a skin test to ensure you are not allergic to the material. Relax and rest to prepare your body for surgery and recovery. Take photographs of your cheeks before the surgery so that you can compare the outcome. It is better if you bring a relative or a friend with you for support and to drive you back home after the surgery. Cheek implant can be done as a single treatment or in combination with other cosmetic surgery procedures such as eyelid surgery, rhinoplasty or facelift. Sometimes, it is done in conjunction with a jaw implant or chin implant to fill the facial profile. The first step is the selection of implant of right shape and size fitting your cheek anatomy. The implant may be made up of silicone or other biocompatible material. Surgery is done in two ways. The surgeon may make a small (About 1cm) incision in the back of your mouth where gums and cheek meet, or the incision is made beneath the lower eyelash. A pocket is formed for the implant and surgeon secures implant within the pocket affixing it to the soft tissue or bone. The positioning of the implant depends on its type. Finally, the incision is closed with sutures. If performed alone, the whole process may take about 30 to 45 minutes depending on the implant material used and extent of the procedure. More time is required if some additional procedure is performed. In about ten days after the surgery stitches are removed. Oral stitches dissolve itself with time. Keep the surgical site clean. Bandages and dressings are applied during the initial healing to support the implant’s position. To speed up the healing, relax and take ample rest. Avoid vigorous activities that can increase swelling or bruising. Do not exercise until your surgeon allows. To reduce pain over the counter medicines is prescribed by your doctor. Apply ice packs for ten minutes every hour to control swelling for 4-5 days. You may also use frozen peas in a ziplock bag for the same purpose. Elevate your head while sleeping by putting 2-3 pillows beneath your head. Eat soft foods such as pudding, banana, oatmeal etc. for a few days. Avoid smoking, alcohol, and caffeinated drinks. If you had oral incision rinse your mouth properly after eating to keep the food debris away from the sutures. Your doctor may prescribe you mouthwash or salt water rinse for the same. You need to take care of your eyes if the implant is inserted through eyelids. 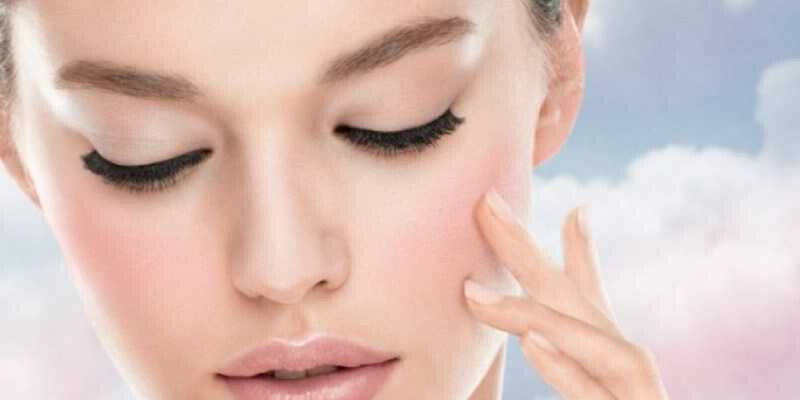 To minimize dryness of eyes use lubricants. Do not start any medicine during the healing process without consulting your surgeon. Shield your face before stepping out in the sun. A positive mental attitude is a must for fast recovery. The outcome of implant surgery is noticeable immediately. But, there may be some visible swelling, discoloration, discomfort and numbness along with the optimum result that may take several months to go. Facial movements too may be restricted or impaired temporarily. The recovery time varies according to the selected procedure and on whether the cheek implant was conducted alone or in conjugation with other cosmetic procedures. If only cheek implant is done, your cheek area may feel tight. If the oral incision is done, upper lip may feel numb. It may take about two weeks for the bruises and swelling to resolve. In some cases, swelling may persist for more than six weeks, and medicines are given to speed resolution. In oral incision, no scarring is there. In case, the implant is inserted via eyelids slight scarring is present under the margin of an eyelash that is hardly noticeable. In 7-10 days after a cheek implant, patient may return to work. Infection is rare, but if infection happens, it is treated with antibiotics. Cheek implant not only improves the face aesthetically but also slows down bone aging. A prominent jawline and a strong cheekbone ages slowly. 1. What are the risks associated with Cheek implant? There is rarely any complication with cheek implant, but there are some potential risks you need to discuss with your surgeon. Possible risks associated with cheek impact are as follows: – After surgery, the sensation in the cheek area may minimize for a short duration or permanently. – It is possible that implant may shift. To avoid this a plastic surgeon advises avoiding sports and rigorous exercise during the healing process. If misplacement of cheek implant happens then to correct the face asymmetry a second procedure is needed. – If the implant is done through eyelid incision, there are chances of lower eyelid retraction and dry eyes. – There are chances of infection after the implant. To treat the infection antibiotics are given. 2. How to choose cheek implant surgeon? Consult Mumbai’s most preferred and experienced Board Certified Cosmetic & Plastic Surgeon Dr. Parag Telang. Get his opinion. 3. What is an average cost of cheek implant surgery? The cost for a cheek implant surgery varies according to surgeon’s experience, patient’s requirement and facilities offered. The price includes doctor’s fee, anesthesia fee, implant fee and operating room fee. 4. Does insurance cover the cost of cheek implant? Unless you require cheek implant following a trauma, insurance does not include cheek implant as it is a cosmetic surgery. 5. What type of anesthesia is required for cheek implant? Depending on the patient’s condition intravenous sedative or general anesthesia may be given to complete the procedure. 6. After how many days of cheek implant can I exercise? Generally, after 2-3 weeks after cheek augmentation, you can exercise. 7. Is cheek implant a painful experience? There is a mild discomfort especially on chewing during the first week of implant surgery. 8. Do cheek implants require various cuts on the cheekbones? No, rarely reductions to cheekbones are performed to add contour to cheeks.